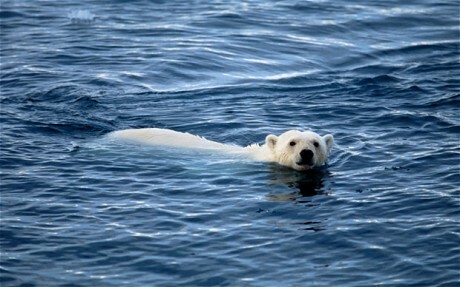 A swimming polar bear. Photo courtesy of The Telegraph-UK. A new swimming sensation has taken the world’s stage and she is sure to put Michael Phelps to shame. Her name? Ursus maritimus, or better known as a certain female polar bear that swam continuously for more than nine days, covering 426 miles. Nature is a beautiful thing, sometimes. What’s not so beautiful is the fact polar bears are being pushed to swim greater distances between ice floes in their hunt for seals because of increased melting of their habitat. Photo courtesy Daily Mail Online-UK. 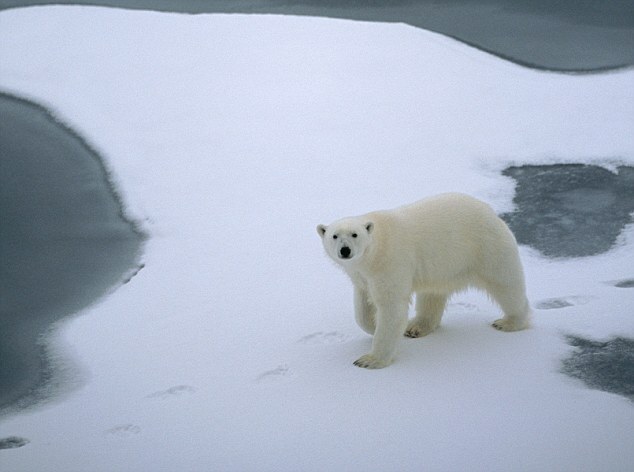 This changing environment is what presumably prompted scientists to study polar bears around the Beaufort Sea north of Alaska. Their findings, published in Polar Biology, according to a Tuesday report on BBC Earth News, reveal the first evidence of long-distance swimming by polar bears. Scientists fitted a GPS collar to a female bear and inserted a temperature logger beneath her skin. Then they plotted her movements -- including in and out of water -- for two months. “This bear swam continuously for 232 hours and 687 km [426 miles] and through waters that were 2-6 degrees C [36-43 F],” says research zoologist George M. Durner. Photo courtesy of The Telegraph-UK. The BBC reported that there was a high cost paid by the female bear: She lost 22 percent of her body fat in those two months and also lost her yearling cub, which was not mature enough to handle that long journey. “In prior decades, before 1995, low-concentration sea ice persisted during summers over the continental shelf in the Beaufort Sea. “This means that the distances, and costs to bears, to swim between isolated ice floes or between sea ice and land was relatively small. 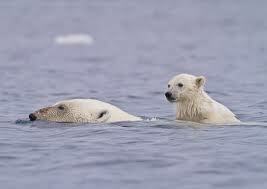 Because polar bears rely on frozen sea ice to hunt, it is pretty easy to deduct what the scientists deducted. “This dependency on sea ice potentially makes polar bears one of the most at-risk large mammals to climate change,” Durner told the BBC in what could be the understatement of this decade of global warming.